The number of motorcyclists on the road in Florida has steadily increased every year for the past decade. In addition to our resident riders, Florida is a popular tourist destination and a host to a number of motorcycle events. Unfortunately, as the number of motorcycles on the road has increased, the likelihood and frequency of collisions with other motor vehicles have also increased. 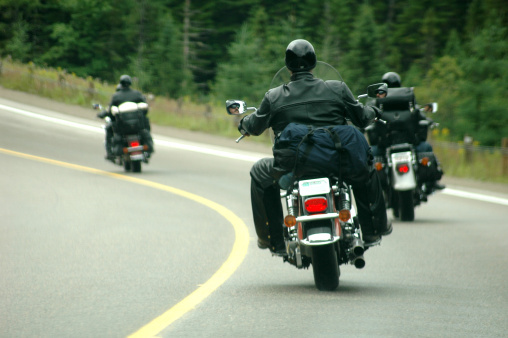 Too often, motorcycle accidents involve significant bodily injury and loss to the rider. If you or a loved one is involved in a motorcycle accident you should speak with a Jacksonville motorcycle accident attorney. According to the National Highway Traffic Safety Administration (NHTSA), 4,612 motorcyclists were killed in 2011 and approximately 37% of those fatal crashes happened on the weekends during the months of March, April, and May. To lessen the risks associated with riding a motorcycle, think “see and be seen.” When approaching intersections, anticipate and be prepared for “that car” about to make a left across your path. Using auxiliary or driving lights, in addition to your headlight, help motorists notice you from all the other traffic – same with hi-viz colored and reflective gear. Wear eye protection and a DOT-compliant helmet. Ride within your limits and always ride sober. Finally, stay out of a vehicle’s blind spot and get away from any driver that is distracted by a cell phone.